California Living-Dreamy Showcase Home offers Beautiful Custom Modern upgrades. Newly built in 2017, Phase 2 in East Garrison, Grove Collection/Sycamore Model features 2 story, 3 bedrooms (including gorgeous master bedroom suite with lovely walk-in closet), 2.5 bathrooms, bright cheerful open kitchen with centered spacious island flows nicely into cozy living room. Convenient laundry room with lots of storage. Lovely tile/carpet flooring through out. Security Alarm System wired for entire house to be activated by buyer(s). Tankless water heater and Culligan Gold Series Water Softener. Finished 2 car garage textured/painted inside. Lovely front yard with 2 side yards have easy maintenance. 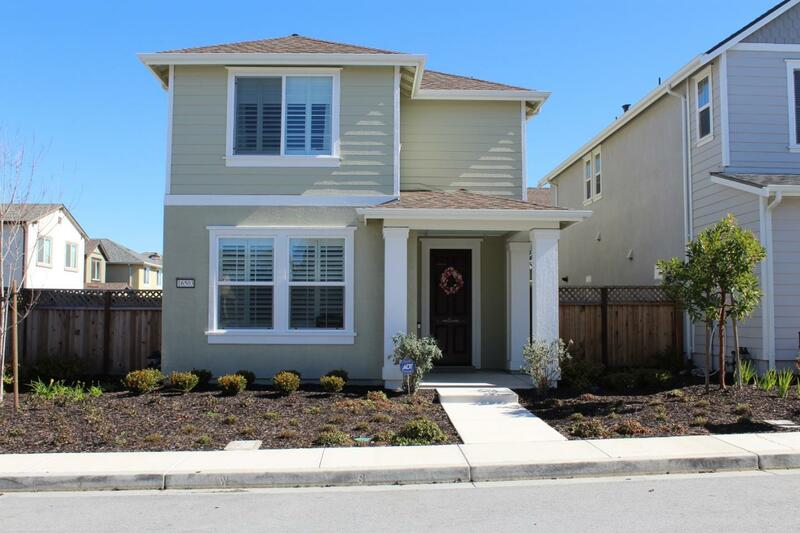 Near parks, trails, beach, shopping, restaurants, CSUMB, and easy access to Hwy 1. "Move In Now Ready!"